The Universe is incredible. And so massively large, it’s almost (if not completely) impossible to truly conceive of how big it really is. 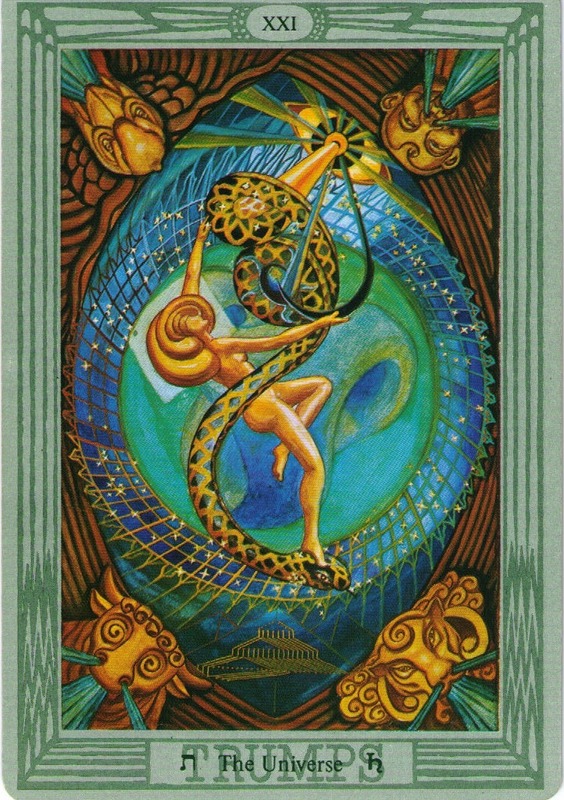 From a Tarot perspective, I think the Thoth Universe card is one of the more beautiful and evocative images describing the expanse of life/space beyond humans. But perhaps a more direct perspective on the size of the Universe relative to us, can be found in Yukai Du‘s short video, How Small Are We in the Scale of the Universe? Short answer: Small. Very very small. Take a look at the Big Think video below featuring Scott Barry Kaufman. In it, the scientific director of the Imagination Institute at the University of Pennsylvania discusses the psychology of solitude. In the Big Think video below, Jane McGonigal, senior researcher at the Institute for the Future, discusses the phenomenon of mirroring, a typically unconscious behaviour we engage in when feeling a sympatico of sorts with another person. While watching it, the image of the Rider Waite Smith 2 of Cups popped into my head. It’s a pretty great example of what mirroring new love might look like. It’s a different perspective on ritual than we’re used to seeing in the Tarot reading world, but in the Big Think Video below, Michael Puett nicely explains how everyday rituals can open up new opportunities for personal growth and change. In the Big Think video below, cognitive psychologist Scott Barry Kaufman talks about two kinds of passion – harmonious and obsessive. Harmonious passion is when we’re engaged in an activity that’s healthfully integrated into our identity and makes us feel good about ourselves. We feel in control, with no external necessity to act in any particular manner. We’re doing something because we really want to, whether or not anyone else is looking, or cares. On the other hand, obsessive passion involves some sort of external contingency, like self-esteem, or the need/desire to please someone else. It’s the type of thing that makes us feel like we have to win at all costs, or there’s no value in playing at all. Though we can certainly get things done with obsessive passion, it’s harmonious passion that’s more likely to lead to creative insights, not to mention an overall sense of well-being. Kaufman’s description got me thinking about Tarot and what cards in the Suit of Wands (the suit of passion) might indicate either harmonious or obsessive passion. 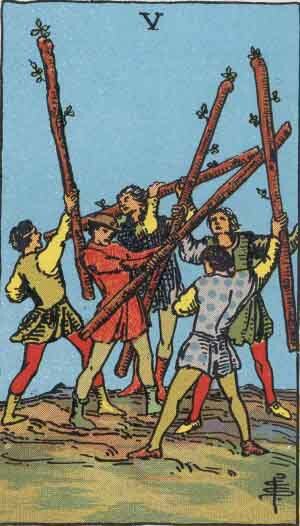 Harmonious passion might be reflected in the 6 of Wands, the card of spiritual victory. When it appears in a reading it often points to the successful integration of one’s identity with one’s activities. The win described in this card comes from commitment and a natural enthusiasm for a particular activity, not from a need to defeat someone else, or from doing something because we think others hope or expect that we’ll do it. 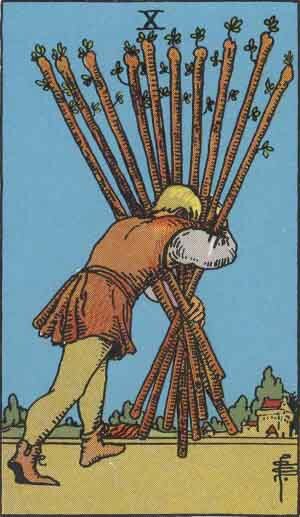 For obsessive passion we might look to the 5 of Wands, and/or the 10 of Wands. With the Five, there’s a sense that passions are flaring, creating a situation where people are pitted one against another, and a win can only be achieved through the defeat of someone else. Passion, in this case, is raised through conflict and rivalry rather than an inner sense of enthusiasm or constructive curiosity. 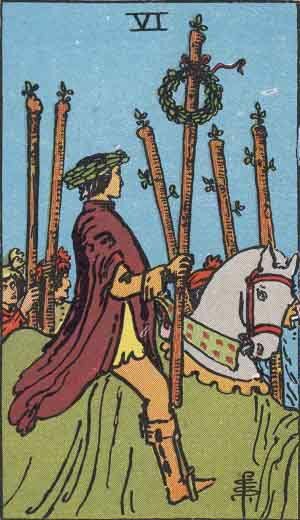 With the 10 of Wands, there’s a sense that our passions are leading us, but that the load is heavy. We may wish to put some tasks or activities down, but for reasons outside of ourselves, we feel we just have to keep at it. In this case harmonious passions are subverted as we try to maintain our strength to keep doing what we feel we should rather than what we truly want. To hear what Kaufman has to say, take a look at the video below, and if you’ve got a Tarot deck handy, take a look for yourself and see what cards you think might describe harmonious and obsessive passion best. Here’s another interesting short video on mindfulness meditation that reminds us how to do it, and why we should. Have you ever wondered what astronauts might dream about? Here’s a wonderful little video brought to us by The Royal Institution and animated by Andrew Khosravani entitled The Dreams of an Astronaut with Helen Sharman. Back in 1991, Helen Sharman became the first Briton to go to space, and in the video she talks about what that was like, as well as describing a recurring dream she has about her voyage. While watching, I couldn’t help but think of the Thoth Tarot’s #21, the Universe card. 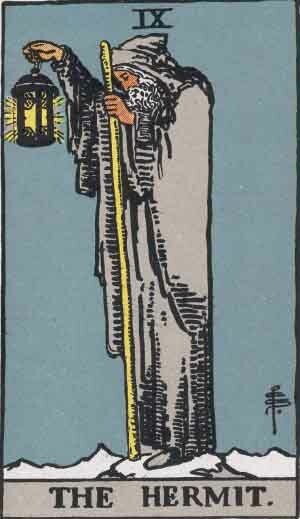 Floating in space must be quite a trip, and as one of the meanings of this card suggests, it certainly takes us to life’s next level. In Tarot, you might describe the 2 of Cups as new love, falling in love, love at first sight, and/or infatuation. It’s all about that wonderful feeling of being absolutely smitten by someone, wanting to gaze into their eyes, and fall deep into their soul, a soul you’re sure is the most beautiful thing you’ve ever seen. 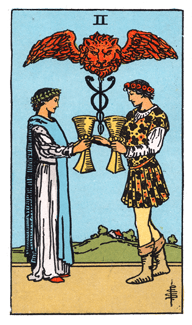 But what does science have to say about this 2 of Cups type state, and is it real? Take a listen to Bill Nye in the Big Think video below as he tackles that very issue … What is the Evolutionary Benefit of Infatuation? MIT’s Danny Hillis and his amazing colleagues are building a clock that will last 10,000 years and chime a different song every single day. It’s almost unbelievable, but they’re really doing it. 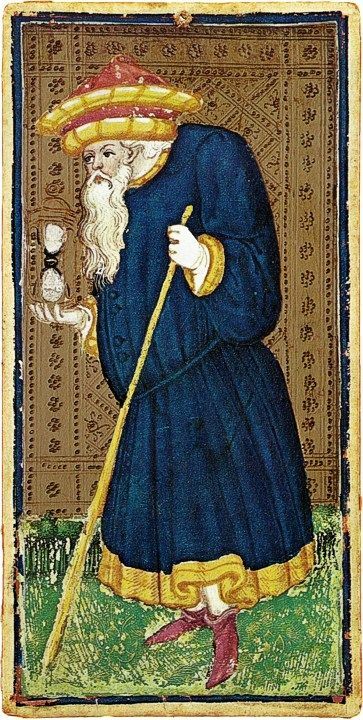 You are currently browsing the Science category at The Tarot Room.